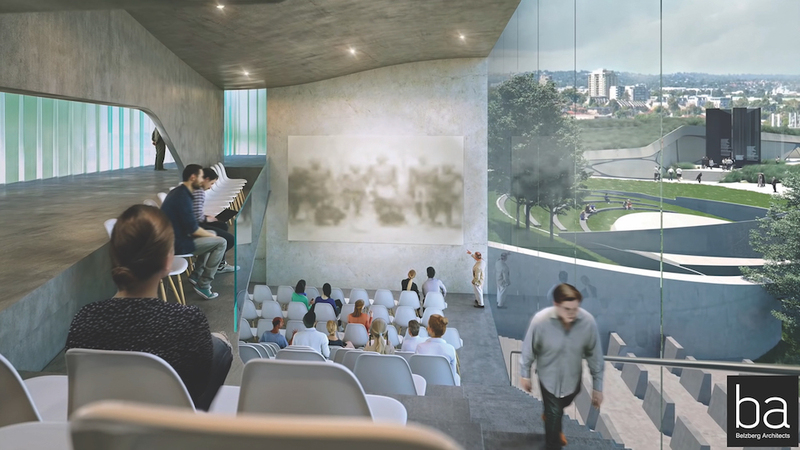 Plans are underway to build a pavilion at the Los Angeles Museum of the Holocaust on Grove Drive, south of the existing museum in Pan Pacific Park. The pavilion will expand the footprint of the existing museum. 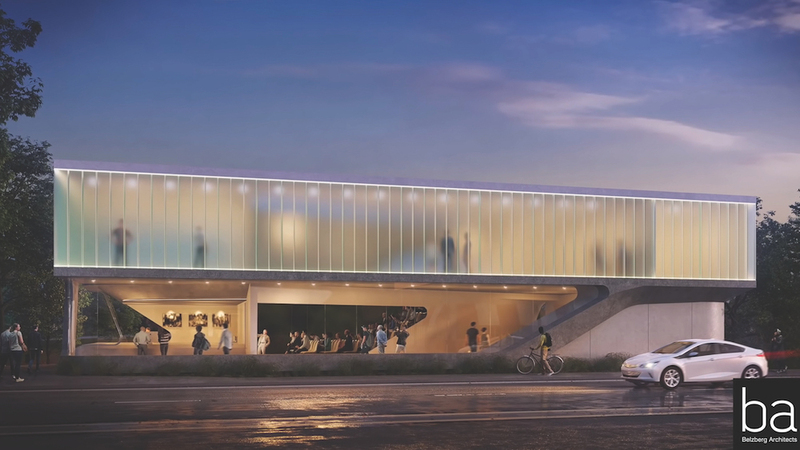 Together they “will help shape the future of not only this institution but of our greater community as a whole,” museum board member and architect Hagy Belzberg said in a six-minute video recently released by the museum. Belzberg designed the original 32,000-square-foot museum that opened in 2010, and has produced the initial drawings for the planned new pavilion. The new pavilion is aimed to help welcome an increase in visitors, many of whom are students. Last year, a record 62,000 adults and children, including 20,000 students, visited the site, a 20 percent increase from the year before. The facility is the oldest Holocaust survivor-founded museum in the United States. There, survivors of the World War II Holocaust meet with the students, give talks and tours, and tell first-hand of their experiences. “A switch goes off” for many of the students after they visit the site, said Beth Kean, museum executive director; many of the students are the same age as when the survivors experienced the Holocaust, she explained. The new pavilion will allow for more space for special events and temporary exhibits, and it will serve as a reflective space for students. “The goal of the museum is to commemorate, to educate and to inspire,” said president Paul Nussbaum. Admission is always free, because the founders never wanted anyone to be turned away for lack of funds. “It’s all about living history. It’s not static and it’s not simply something that happened in the past and won’t ever happen again,” said Marlborough student Dorrit Corwin. “What makes our museum unique is that we teach the Holocaust through artifacts and oral testimonies,” said Kean. “Our founding survivors donated our first collection of artifacts” after settling in Los Angeles. They founded the museum in 1961, and, after several moves, the permanent home was built. Museum leaders believe that education is the best defense against bigotry and intolerance. “While we cannot change the past we can make a difference for the future,” said board member Michele Gold. “In the rich tapestry that is Los Angeles, where we celebrate so many diverse cultures and backgrounds, it is crucial that we have the museum here,” said Councilman David Ryu. The timing of construction of the new pavilion is also in line with the recent renovation and update of Pan Pacific Park playing fields, Ryu said.